Skype is without doubt one of the best proprietary software available to Linux users. 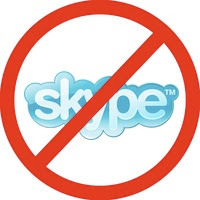 However, ever since Microsoft acquired it, some people have started looking for free and open-source alternatives to the popular communication (Voice over Internet Protocol, instant messaging, videoconferencing) software. Ekiga, formerly called GNOME Meeting is a VOIP and video conferencing application that works across Linux and Windows. It includes many great features like USB hotplug support, Contact list, Basic instant messaging, video calling, call transfer, call forwarding and more. Due to its huge number of features as well as stability, Ekiga has been touted as the best FOSS replacement for Skype, as many competitors don’t have features like HD video conferencing that Ekiga offers. 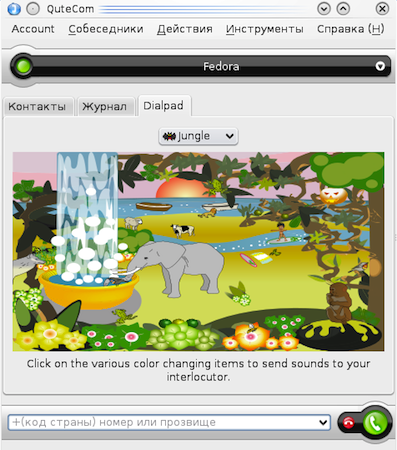 As far as the user interface is concerned, anyone familiar with Pidgin or Empathy will easily be able to use Ekiga. There’s nothing complex about the UI, just a plain, simple and old-school GNOME app. The only shortcoming is that it doesn’t integrate with the Ubuntu app menu yet, which, I hope, will be done once more people start switching from Skype to Ekiga. QuteCom is another VOIP client that works across all major platforms. It allows users to call landlines and cellphones, send SMSes and make video calls. Users are not restricted to any particular provider thus giving them plenty of options. The latest version of QuteCom supports instant messaging on AIM, MSN, XMPP and ICQ. 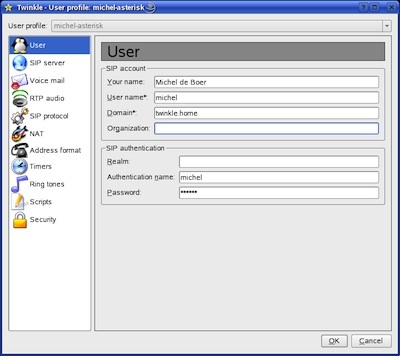 Skype users will find the Qt-based interface somewhat familiar as it tries to make it easy for users to switch. 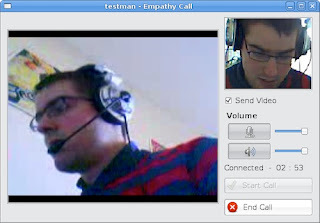 Twinkle is another good VOIP client for Linux built on the Qt interface. It works on Linux only and has a good amount of VOIP features that most clients offer. Important features include Instant Messaging, Call Waiting, Call transfer, Repeat last call and Blind call transfer. There is no video calling yet, but the project’s road map does mention it as a probable addition in future versions. There is also a Firefox add-on called Twinklefox, which allows users to dial telephone numbers from within Firefox. 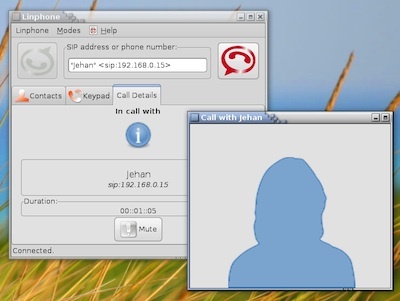 The default chat client in Ubuntu supports voice and video calls using SIP, XMPP, and Google Talk. The best part about Empathy is that it is very well integrated with Ubuntu and many other operating systems. And yes, it is light, stable and easy to use. Of course, Empathy lacks the sheer number of features and plugins that Pidgin offers, but so far, Ubuntu users have been pretty happy with Empathy. If Ubuntu tweaks it a bit more to make it more Skype-competitive, we could have one of the best default applications ever. 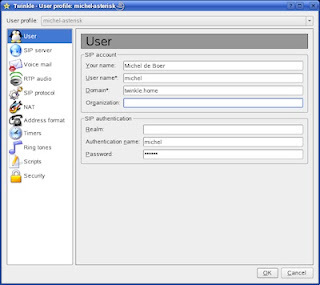 Linphone is a VOIP client that runs across Windows, Linux, Mac and major phone platforms. On Linux, Linphone can run as a GTK+ GUI application as well as a command line program. On a computer, the only thing required to make Linphone work is a headset and a microphone. Few of its features include multiple SIP proxy support, IPV6 support, Address book, text instant messaging and plugins support. Linphone can also work on major mobile platforms like Blackberry, iPhone and Android. Though there are a lot more VOIP clients other than the ones mentioned above, there aren’t any clients in particular that your Grandma would be able to use. Ekiga is a definite candidate for becoming a total Skype killer, but the interface still requires a lot of work. The best bet, right now, is to keep using Skype. If at all you absolutely despise the Microsoft branding that it comes along with, then you can opt for video chat on Google Talk (and soon on Google Plus), which works quite well on Linux. In fact, it may be a great switch if you are considering buying a Chromebook. Would have been a great post without the sexist remark at the end.